SFA is working with Yaqui communities in Sonora and Arizona to honor one of the least understood aspects of Yaqui social history: culinary resistance. The project combines research knowledge with a long and trusted relationship with Yaqui communities through the work of applied folklore. 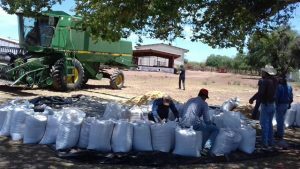 The project involves the experimental planting of ancestral Sonora White wheat in Yaqui lands in Vicam, Sonora and the development of a business plan for market viability of Yaqui-owned artisanal industry. It aims to activate cultural memory through oral histories and ethnobotanics while advancing economic development and entrepreneurship among Yaqui communities on both sides of the border. Led by Yaqui leaders, it leverages capacity and skills within the University of Arizona and SFA. Collaborators include project leaders Felipe Molina and Cornelio Molina; Marana-based BKW Farms; a technical agricultural school in Vicam; Mexico’s national scientific institute for the growth of corn and maize (INIFAP); and the Pascua Yaqui Tribe. 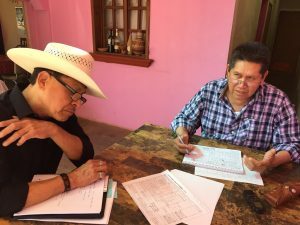 Through these activities, the project has allowed the Pascua Yaqui Tribe to re-ignite a conversation about potential self-reliant, micro-economic development initiatives for the Sonoran ancestral lands. Sonora is the largest wheat-growing region of Mexico and home of the much-lauded Green Revolution, which increased agricultural production through new technologies. Alternative economies to big industrial wheat conglomerates are rare. Over the decades, land-use decisions prioritizing industrial agriculture have resulted in biodiversity loss as well as the marginalization of heritage food and cultural practices in Sonora. The Yaqui, indigenous to Sonora and southern Arizona, are often considered one of the most resistant indigenous communities in Mexico. In the 1940s, they received rights to their ancestral lands and water source, the Rio Yaqui. But in the decades since, those gains have been eroded by federal and state “development” projects that have undermined to Yaqui self-determination. In many Yaqui communities today, many people feel a sense of resignation. Youth in particular have little access to employment opportunities. This project seeks to address these issues. It views traditional knowledge and skills practiced everyday within marginalized communities as vital assets—assets that can be mobilized to reverse historically detrimental land-use patterns, biodiversity loss, and culture and heritage practices. The collaboration builds upon research conducted by Dr. Maribel Alvarez in 2009-2011 around the role of wheat in the formation of Sonoran economy and society. 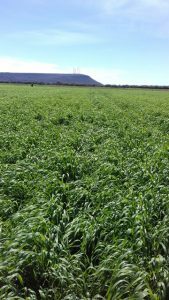 The project also draws on work by Gary Nabhan and Native Seeds/SEARCH to revive interest in and commercial viability for the 300-year old Sonora White wheat variety. This project is funded by a grant from the Agnese Haury Program in Environment and Social Justice and the National Association of Latino Arts and Culture.